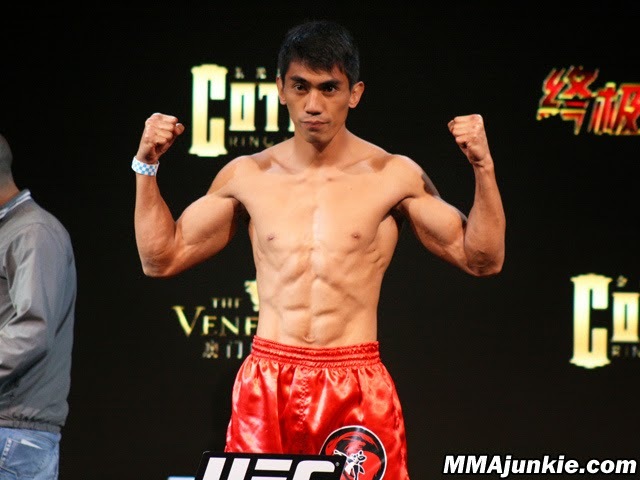 Filipino warrior and Wushu Gold Medalist Mark Eddiva will face Levan Makashvili at Mall of Asia Arena on May 16, 2015. - Mark Eddiva is a 29 year old boxer from Baguio City, Philippines, he is a fighter from team lakay. Eddiva currenly has a good record of 6 wins with 1 defeat, his last fight was a lost via TKO against Edimilson Souza of Brazil. Mark Eddiva wants to prove something on his next fight. He wants a big wins on his upcoming fight. - Levan Makashvili is a fighter from USA, he has a record consisting of 6 wins with 1 defeat. The 26 year old American fighter won his last fight against Alexandre Bezerra via Unanimous Decision at CFFC 44. This is the UFC debut of Makashvili and he said that he won't break this opportunity. Also in the undercard Team Lakay fighter Roldan Sangcha-an of the Philippines will face Jon Delos Reyes of Guam.